With dozens of universities, private institutions and community colleges, Mississippi offers a wide range of educational opportunities. From the 20,000+ enrolled at Mississippi State University to the 555 enrolled at Blue Mountain College, the state attracts students from across the country. Part of the draw may be its ranking as one of the least expensive states in the nation. While this is a plus, we realize many other factors also go into the school selection process. To aid in this decision-making, we have applied our rigorous methodology to the latest education data to rank the best colleges in Mississippi, including the top four-year and two-year schools. We have included essential factors in our database creation, including acceptance, retention, graduation and enrollment rates. Keeping in mind today's students' growing concern over post-graduation debt, we have also included the metric of student loan default percentages. Using these critical elements in our algorithm, we provide you with the best of the best. The following is a showcase of the results: the top two-year and four-year colleges in Mississippi. Recent statistics revealed that less than half of the students enrolled at public colleges in Mississippi were attending four-year schools. Mississippi's postsecondary education system as a whole awards fewer bachelor's degrees than the national average. However, the University of Mississippi in Oxford, established in 1848, continues to draw students from around the globe. The state's other biggest four-year school, Mississippi State University, was ranked among the leading major research universities in the nation by the Carnegie Foundation. These and other institutions continue to offer significant opportunities for four-year education in Mississippi. At the top of this list of opportunities is financial savings. Mississippi students pay less than the national average for four-year tuition and fees. Also top-ranking is medical career opportunities. Renowned as the site of the world's first heart and lung transplants, the University of Mississippi Medical Center is one of the largest employers in the state. With many options offering varied prospects, we have streamlined the decision-making process by offering the following list of the top four-year schools in Mississippi. Founded as Mississippi A&M, Mississippi State University is among the National Science Foundation's Top 100 research universities and has been ranked in the top 5 percent nationally for agricultural research expenditures for the last 10 years. The institution has a proud history of award-winning academic programs, high-quality career preparation, and sporting teams in the Southeastern Conference. Through its eight colleges, Mississippi State offers more than 80 majors, including a comprehensive catalog of bachelor's degrees in disciplines including the arts and sciences, business, education, and engineering. MSU also serves as the national lead university for the FAA's Center of Excellence for Unmanned Aircraft Systems. The institution has a strong agriculture and life sciences program, offering 15 majors and 43 concentrations. Some bachelor's degrees can be completed in three years. One of the best colleges in Mississippi, its notables include an Honors College and more than 1,000 study abroad opportunities, including locations in Europe, Israel, China, and Thailand. Mississippi State and the city of Starkville hosts the largest outdoor concert in Mississippi -- the annual "Bulldog Bash." Every semester, Mississippi State hosts distinguished speakers that in the past have included Condoleezza Rice, Dr. Neil deGrasse Tyson, and author John Grisham. MSU is the home of the Ulysses S. Grant Presidential Library, which makes the school one of only six universities in the nation to host a presidential library. Mississippi College, affiliated with the Mississippi Baptist Convention, is the oldest college in the state of Mississippi. The institution has more than 5,000 students engaged in liberal arts learning that integrates faith and educational attainment. The college's seven schools offer students more than 80 undergraduate options from a comprehensive liberal arts curriculum, including concentrations in specialized fields and preprofessional and professional programs. Baccalaureate programs of note include a BS in homeland security, a BS in loss prevention, a BA in foreign language and international trade, and a BA in Christian studies and philosophy. The school is one of the colleges in Mississippi offering accelerated bachelor's degree programs to accommodate working professionals; program areas include business administration and nursing, available in the evening and online in an eight-week format. The school's Veterans Outreach program is designed to provide help with admissions, advising, and tutorial assistance. Located in Mississippi, Southeastern Baptist College offers five degree programs, including associate degrees with an emphasis on the Bible, business, and general education, and bachelor’s degrees in church ministries and business administration. SBC’s mission is to provide education from a biblical worldview in a Christian atmosphere. SBC offers an online, two-year curriculum that is designed for students to transfer credits to a four-year college or university. Prospective students are required to submit an application, official high school transcripts, ACT scores, and a reference form completed and signed by their pastor. SBC offers classes on the semester schedule, and the small institution typically offers between twenty and thirty classes each semester. Known as Ole Miss, the University of Mississippi has a history of academic excellence and leadership with a student body of less than 24,000. The institution is home to a number of national centers of research such as the Center for Intelligence and Security Studies, the Croft Institute for International Studies, and the Center for Manufacturing Excellence. Ole Miss has 15 academic divisions that include a major medical school and nationally recognized schools of accountancy, pharmacy, and law. One of the best colleges in Mississippi, Ole Miss offers a comprehensive roster of bachelor's degrees in numerous disciplines such as education, business, and engineering. Of note is the BS in radiologic sciences, one of several Ole Miss 2+U programs in which students complete a bachelor's in two years. The highly recognized bachelor's in accountancy includes a minor in manufacturing engineering. Notable alumni of Ole Miss include novelist William Faulkner, former Senator Trent Lott, and John Grisham. A Christian liberal arts college located in the rolling hills of North Mississippi, Blue Mountain College is supported by the Mississippi Baptist Convention and has a student population of about 600 students. The school's size facilitates a student-to-faculty ratio of 11:1. The school offers bachelor's degrees in areas such as business administration, music, history, and liberal arts. Degree programs of note include Blue Mountain's BA and BS in worship leadership. Also of note are the school's dual degree bachelor's programs with local community colleges such as the BS in psychology and pre-nursing, a BS in biology and nuclear medicine technology, and the BS in biology and sonography. Students at Blue Mountain have access to the tools and resources necessary for success, including the Learning Lab, where they receive free tutoring, academic coaching, and learning seminars. Established in 1890 by members of the Methodist Church, Millsaps is a small undergraduate college with an enrollment of approximately 985 students. Millsaps is located in Jackson and 86% of students live on campus studying the liberal arts, sciences, and pre-professional programs in engineering, health, law, and ministry. Millsaps offers 32 majors and 41 minors with bachelor's degree programs in areas as diverse as African-American studies and classical studies to BA and BS degrees in chemistry and economics. There is the option for a self-designed major, in which students work with faculty to design the curricular, instructional, and administrative framework to accommodate students' personality, educational, and career goals. The school is home to five fraternities and five sororities. One of the best colleges in Mississippi, Millsaps has a nationally ranked study abroad program, with 2017 summer trips scheduled for Ghana, the Galápagos islands, and several countries in Europe. USM began as a small teachers' college and today is a research-driven institution with approximately 15,000 students from diverse backgrounds. More than 180 programs are offered through Southern Miss's six degree-granting colleges. Undergraduate students have 142 bachelor's degree programs from which to choose. Among notable programs is the BS in forensics with six concentrations, a well-established baccalaureate journalism program with four areas of specializations, and comprehensive baccalaureate music and theater programs. Southern Miss's students and faculty engage in research initiatives such as evaluating the impacts of the BP oil spill in the Gulf of Mexico, creating new polymer materials for everyday consumer products, and developing new forensic technology for fingerprints. The school has about 300 student organizations covering a wide array of interests such as business, the arts, athletics, Greek life, the military, and religion. In 1884, MUW made history as the first state-supported college for women. Since then, the school has become one of the colleges in Mississippi recognized for rigorous academic programs; MUW offers programs in arts and sciences, business and professional studies, education and human services, nursing, and speech learning pathology. MUW offers more than 60 bachelor's majors in classrooms with a 14:1 student-to-faculty ratio that fosters student success. The Department of Nursing offers bachelor's programs recognized as tops in Mississippi, with a pass rate of 99% on the National Nursing Licensure Exam. MUW's BA and BS in business administration programs have several areas of concentration. The school's Student Success Center offers a number of resources and strategies to help all students succeed, including tutoring, Success Seminars, help with study skills, and disability services. There are more than 75 campus organizations for student enrichment. DSU is a public institution located in Cleveland, Mississippi, with beginnings as a teacher's college. The school now accommodates more than 4,000 students with a broad liberal arts curriculum leading to undergraduate and graduate degrees. DSU offers bachelor's degrees administered through the Colleges of Business, Arts and Sciences, Education, and in the Robert E. Smith School of Nursing. Notable programs include the bachelor's of commercial aviation and BS in entertainment industry studies. The school's geospatial information technology program is nationally recognized and a signature program. The Delta Music Institute has two world-class recording facilities and a traveling mobile music lab. Students engaged in learning at Delta have a student-to-teacher ratio of 11:1, a friendly environment, and more than 100 campus organizations. Delta notes its affordability among Mississippi colleges and regional institutions. Recognized for its academic excellence and social commitment, Tougaloo College provides its students with experiential learning opportunities, character development, and lifelong learning opportunities. The school offers undergraduate programs emphasizing critical thinking, knowledge of the humanities and sciences, and the development of professional skills. Tougaloo is among the designated historically black universities (HBUs) & colleges in Mississippi. Through its five academic divisions, the college offers BA programs in areas such as English, liberal studies, and economics. BS degrees are offered in physics, mathematics, computer science, etc. The school has a strong reputation for graduating minority men and women with bachelor's degrees in the physical sciences. Tougaloo College has strong partnerships with other universities, such as Brown University, where undergraduates can study for a semester, as well as Boston College, Tufts Medical and Dental Schools, and New York University. Rust College, a private, Christian institution, was founded in 1866 by the Freedmen's Aid Society of the Methodist Episcopal Church. The school is located in Holly Springs, Mississippi, and is a historically black, coeducational liberal arts college. Rust College offers several online learning courses designed for non-traditional adult learners. Students can earn online degree in business, education, humanities, science and math, and social science. The college’s online courses are offered in six modules throughout the year, which begin in August, October, January, March, May, and June. New students can enroll any term. The school offers programs at the associate and bachelor's level. Located in Jackson, Mississippi, Belhaven University operates multiple graduate and adult degree programs across the South, with locations in Memphis, Houston, Chattanooga, and Atlanta. The school also offers multiple online degree options. Belhaven, a private institution, emphasizes a Christian curriculum and confers online associate, bachelor’s, and master’s degrees. Belhaven’s online degree options include associate degrees in biblical studies and business; bachelor’s degrees in accounting, business administration, and management; and several graduate degree options in business and education. The university offers online courses in eight-week terms, with a total of nine each year. This allows students to quickly complete coursework. Incoming students can earn up to 45 credits from prior training, job experience, or military service. Jackson State University has operated as a public institution since 1934. JSU offers multiple degree options from its campus in Mississippi, and it joins other online schools in Mississippi by providing an online degree program, which includes five bachelor’s degrees and ten master’s degrees. Students at JSU can pursue undergraduate degrees in criminal justice, childcare and family education, healthcare administration, interdisciplinary studies, and emergency management technology. The graduate programs focus on education and business, with several options in each field. JSU’s online schedule offers five terms each year, catering to traditional and non-traditional students. The university charges the same online tuition to in-state and out-of-state learners. Founded in 1871 to educate the descendants of former slaves, Alcorn State University is the oldest public, historically black land-grant institution in the country. Alcorn also operates campuses in Natchez and Vicksburg, which is home to the School of Business and the School of Nursing. While Alcorn’s Office of Online Education does not provide undergraduate degree options, it does offer five online degrees at the master’s level. Master's programs include workforce education leadership, business, biology, nursing, and family nurse practitioner. In addition to these degree options, Alcorn offers multiple online courses at the undergraduate and graduate levels each semester, where students can earn credits that transfer to other institutions. As with other online colleges in Mississippi, Alcorn’s online options provide convenient access to higher education for many students. MVSU, among the historically black universities & colleges in Mississippi, has a history of excellence in teaching, learning, and research in a learner-centered environment. The institution's degrees are administered through the College of Art & Sciences, College of Professional Studies, College of Education, and Graduate School. Bachelor's degrees are offered in a wide range of fields, from business administration and government and politics to biology and environmental health. The school has articulation agreements with other institutions in the state, including junior colleges, which facilitates easy transfer of credits into baccalaureate programs. For freshmen in need of academic help, the Academic Support Program is year-long and gives them personalized, classroom, and computer-assisted instruction in addition to career counseling. MVSU campus life includes religious activities, intercollegiate athletics, and intramural sports. Mississippi's two-year schools provide courses for a university track, technical skills, industry-specific education, general education and GED preparation. The state's fifteen community and junior colleges make up the Mississippi Community College Board. The Mississippi Community College Foundation was created to support these community colleges and their students. It provides grants, scholarships, special licensure and other helpful programs. 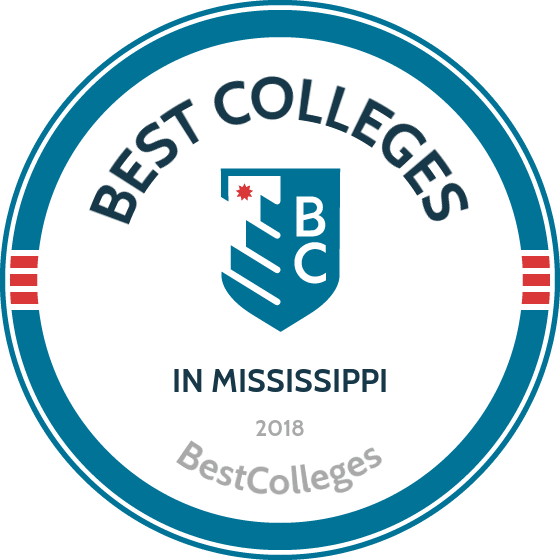 A recent ranking of community colleges nationwide gave Mississippi top standings, with five of its schools slotted in the top 100 and two in the top 15. The state's two-year schools are also ranked as some of the more affordable. Students pay less than the national average for two-year tuition and fees. To help choose which of these opportunities is best for you, we offer the following list of the top two-year schools in Mississippi. Located in Summit, SMCC provides affordable academic, career, and continuing education programming to residents in four counties in Mississippi. In addition to career and technical programs that equip students with skills and training to enhance employability, SMCC offers a catalog of associate degrees that can be transferred into a baccalaureate program at a four-year college or university. Associate of arts (AA) and associate of applied science (AAS) degrees are awarded in areas such as nursing, automotive technology, early childhood education, and information systems technology. Students have access to extracurricular activities and support services to enhance their development. Organizations such as Phi Beta Lambda, Health Occupation Students of America, and Future Educators of America are some student organizations on campus. SMCC notes that it is among the community colleges in Mississippi with low tuition and financial aid options to help students pay for college. MDCC is a comprehensive community college serving a number of counties in the state with a wide variety of academic, career, and technical educational programs. One of the best community colleges in Mississippi, MDCC offers high-quality and affordable programs delivered in small classes to foster individualized instruction. The Academic Division’s AA degrees comprise the equivalent of the first two years of college or university. The most popular AA majors at MDCC include the fields of business, biological sciences, and general education. The most popular associate of applied arts (AAA) degrees include the fields of culinary arts, computer networking technology, biomedical electronics technology, and automotive mechanic. Of note is the health science division, which awards AAS degrees in popular areas such as allied health, nursing, and dental hygiene. MDCC also has a Law Enforcement Training Academy providing training to law enforcement personnel throughout the state. EMCC is a comprehensive community college serving several counties in East Central Mississippi. Students have numerous career/technical programs, associate degrees, and an academic transfer curriculum from which to choose. The campus, with approximately 4,000 students, offers a learning atmosphere conducive to student success, small class sizes, and affordable tuition. Associate degrees are offered in the disciplines of humanities & fine arts, mathematics & science, and social science & business. Unique associate degree programs include meteorology, wildlife, fisheries and aquaculture sciences, and forensic chemistry. Students in an associate program can participate in work-based learning because of partnerships between businesses and EMCC programs of study. High school graduates from various counties can partake in a district-wide tuition guarantee program. One of the best community colleges in Mississippi, EMCC has an Early College High School in which students earn a high school diploma and an associate degree from EMCC simultaneously. Sitting atop 99 acres near the Mississippi River, CCC provides an environment conducive to learning and educational programming that is accessible and affordable. Students have 55 university parallel degree programs from which to choose, in addition to 15 career and technical education, and eight health science programs. AA degrees can be earned in concentrations as diverse as banking/finance and tourism management to biochemistry and paralegal studies. One of the best community colleges in Mississippi, CCC’s Career and Technical Education division offers programs in marketing, family and consumer science, and trades that can lead to AAS degrees. The health sciences division offers an associate degree in nursing in addition to short-term programs in EMT, phlebotomy, and more. Students have access to several services such as tutoring, career services, and placement, and various student organizations. ECCC is a two-year college in Mississippi serving students in five county districts with university transfer, career and technical, and professional programs. Students who earn an AA degree or an AS degree at EECC can transfer 35 core hours to a baccalaureate program at any four-year college or university in the state. AAS degrees can be earned in fields such as drafting & design technology, hotel & restaurant management, and precision manufacturing & machining technology. ECCC’s healthcare program includes associate degrees in nursing and surgical technology. Through the ECCC’s Success Center, students have access to support services such as basic skill and employability training and tutoring. The school’s Warrior Wellness initiative works to help students stay healthy with new exercise equipment in the Wellness Center, on-campus Warrior Challenges, and community outreach about nutrition and ways to stay healthy. The first public two-year college in the state, PRCC is committed to educational programming that is high-quality and accessible. The institution offers career and technical and continuing education noncredit programs in addition to AA and AAS degrees. The AAS degree program is awarded in areas such as healthcare, drafting and design, dental hygiene, and computer networking. The school’s university transfer or academic program is designed for students who plan to transfer the AA degree into a baccalaureate program; the AA coursework meets the general education requirements at a senior college/university. To help facilitate student success, PRCC’s online career coach allows students to explore various careers at no cost. Students have several sports programs on campus and a wellness center with a running track and exercise equipment. PRCC is among the Mississippi community colleges to be designated as Military Friendly. Copiah-Lincoln Community College’s curriculum allows students to earn associate degrees or credentials to enhance performance and employability in high-skill, high-demand careers. At Co-Lin, students in Southwest Mississippi have access to short-term training programs, certifications, and AAS degrees in a wide range of fields on three campuses. AAS degrees can be earned in fields such as business and marketing management, respiratory care, and hotel and restaurant management. Of note is the AAS in medical laboratory technology, a program incorporating theory, labs, and clinical experience, with a 100% pass rate on national certification and a 100% job placement rate. Under the school’s Prior Learning Assessments, students can receive college credit for career, life, and military experience. Co-Lin is one of the two year colleges in Mississippi offering a Work-based Learning program in which students can earn college credit while working in their field. A two-year public community college located in Senatobia, Northwest MSCC was established in 1928 and has fewer than 10,000 students. Among the school notables are a full catalog of academic pathways and career-technical programs, affordable tuition, and flexible class schedules. Like other community colleges in Mississippi, Northwest provides learners with a curriculum equal to the first two years of a baccalaureate program, transferrable to a senior college or university in the state. AA pathways leading to a baccalaureate degree include business administration, computer/management information system, elementary education, liberal arts, and general college. The career and technical education division offers AAS degrees in areas such as civil engineering, manufacturing, information systems, and funeral service. Northwest has 35 clubs and organizations for students’ special interest, ranging from martial arts and graphic design to the chess club and Collegiate DECA. With more than 100 academic degree pathways and numerous career programs available, Jones County Junior College is one of the community colleges in Mississippi actively working to develop a highly skilled workforce. In addition to the campus in Ellisville, Jones has a number of outreach centers to make its curriculum accessible. Those seeking to earn an associate degree can choose a program from the University Parallel pathway, in which students receive two years of preparation to transfer to a university or senior college. Associate degree programs in this pathway include accounting, elementary education, engineering, and preparatory studies. AAS degrees can be earned in career and technical education pathways such as automotive technology, civil engineering, healthcare, and computer networking. Jones’s new Student Success Center gives students the academic and social support needed to accomplish their goals. A tradition of academic and athletic excellence awaits students at ICC, with locations in Fulton, Tupelo, and Belden. Among ICC’s offerings are university transfer programs in addition to 31 early-career programs. The school is among community colleges in Mississippi with a full roster of associate degrees in a range of fields. AA degrees can be earned in areas such as accounting, biochemistry, history, and graphic design. AAS degrees can be earned in areas such as automotive technology, computer networking, interpreter training, health information technology, and law enforcement. Student have clubs, organizations, and intramurals in which to engage. ICC participates in 10 intercollegiate sports, including baseball, basketball, and tennis. ICC's tuition costs one-fourth that of a university in the state. In addition, 85% of students receive some type of financial aid; if you live in one of ICC’s supporting counties, the tuition-guarantee program is available. Established as an agricultural high school in 1911, HCC now offers two-year degree programs, certifications, and occupational training. Through its campuses in the cities of Grenada, Ridgeland, and Goodman, students can earn an AA degree consisting of general education core requirements of 35 academic hours and 27 academic hours of electives. The AA degree areas of study include the fields of business, a number of specializations in education, natural sciences, and fine arts. The AAS degrees are offered in popular fields such as nursing, information systems, and criminal justice administration. Holmes is one of the two year colleges in Mississippi with easy transfer of an associate degree from its career/technical programs to a bachelor’s program at a college/university in the state. Founded in 1937, MCC sits on a 72-acre campus close to downtown Meridian. The school serves almost 4,000 students with a wide range of academic and technical fields of study. AA and AAS degree programs are offered through the business, emergency services, health education, industrial technology, and nursing divisions. MCC’s healthcare, technology, and business programs are highly recognized by employers in the region. In the University Transfer Program, students earn an AA degree transferrable to a four-year institution. MCC is one of the community colleges in Mississippi offering accelerated programs in areas such as nursing. LPNs and paramedics can complete the associate degree nursing accelerated program in three semesters instead of four. Life at MCC involves campus organizations, various groups, and social activities. The school offers three intramural sports each semester, such as basketball, ultimate frisbee, and dodgeball. Serving five districts, NEMCC provides educational programming leading to AA, AS degrees, and certificates. The college offers industry-specific workforce training and academic programs that can lead to associate degrees in six areas, including business & engineering technology, fine arts, health sciences, and mathematics and sciences. AAS degrees include administrative office technology, electrical technology, business and marketing management, and heating and air conditioning. AA degrees are available in areas such as criminal justice, political science, and business administration. Transferring an associate degree to a baccalaureate program at a university is easily facilitated since NEMCC, like other Mississippi community colleges, has articulation agreements with universities in the state. The school has a state-of-the-art learning center with computer labs, a fully equipped fitness and wellness center, several organizations, and a large number of student activities. With a mission to offer high-quality education that is relevant and diverse, HCC offers academic college transfer, career/technical, and continuing education programs. Among Hinds’ notables is being the largest community college in the state with five campuses and six locations, and more than 90 on-campus organizations. Hinds’ AA degrees require the completion of 62 hours of a program of study, which can be transferred to a senior college in the state, constituting the first two years of a bachelor’s degree. AA programs of study range from business administration and mathematics to nutrition/food science and education. The career and technical education division has a full catalog of AAS degree offerings in areas such as animation and simulation design technology, aviation maintenance, diagnostic medical sonography, and veterinary technology. One of the best community colleges in Mississippi, Hinds’ tuition is half that of a four-year university in Mississippi. Whether students are looking for an academic transfer program or workforce training, MGCCC has an option. The school notes that its is the only community college in Mississippi to be in the top 100 associate degree producers in the U.S. After earning an associate degree, three out of four students at MGCCC will transfer to a four-year institution. Among the University Parallel programs at MGCCC are AA degrees in business, architecture, computer science, engineering, and math. The career and technical education division offers AAS degrees in high-wage, high-demand areas such as 3D modeling and design, computer networking surveillance with a technology-gaming concentration, interpreter training, and criminal justice technology. The health sciences division offers associate degrees in areas such as nursing and medical laboratory technology. MGCCC is affordable, with low tuition and a textbook rental service that helps save students money. If you're thinking about applying to one of the best colleges in Mississippi, continuing reading to learn more about living in the Magnolia State. From its coastal beaches to its Civil Rights chronicles, this state overflows with natural and historical appeal. Mississippi is home to 3 million people, residing in mostly rural areas. The state includes many agricultural sectors, controlled mostly by industrial farms. While often ranked low among the states in income and health, Mississippi also offers the nation's lowest cost of living. It has one of the lowest per capita income rates and comes in at eight percent below the national average for cost of living. The state is also known as the birthplace of blues music and holds the title of most religious state. Popular destinations in Mississippi include the Natchez Trace Parkway, Vicksburg National Military Park and Cemetery and the Gulf Islands National Seashore. The capital city of Jackson offers museums and the State Capitol, and is home to roughly half the schools in Mississippi. Packed with Civil Rights and Civil War history, the state offers a rich past for students to explore. Mississippi's geography divides it into five distinct regions. Each offers its own unique attractions and culture. The following is an overview of these areas. In-state tuition rates can save students significantly. To qualify, students must establish residency in Mississippi. Specific requirements may vary by school, but the common denominator is to demonstrate intent to reside in Mississippi for more than schooling. Mississippi determines the residency of a minor based on their guardian. The residence of a person under 21 years of age is awarded the residence of his or her father, mother or legal guardian. If only one parent has custody, it is that parent's residency status that is shared by the minor. If a parent is a member of the faculty or staff of any institution in Mississippi, he or she may be classified as a resident for attendance at the school where the parent is employed. Because specific guidelines may vary by school, be sure to research residency requirements for any school that is considered. Mississippi defines residency as the place an adult resides with the intention of remaining there indefinitely, or has plans to return there permanently if temporarily absent. Typically, schools require a minimum of 12-month residency in the state prior to admission for in-state residency and tuition to be granted. A married person may claim the residence status of his or her spouse. Members of the United States Armed Forces stationed in Mississippi, as well as their spouses and children, may be classified as residents.